In order for something to become implemented or to be effective, there has to be a vacuum or a created need for it. As society ignores God and our rule of law and worships the created rather than the Creator, the vacuum is filled with environmentalism and other systems of control. The people no longer have the ability to govern themselves as relativism sets in and there is no longer a basis for truth. In turn, they look to government for the answer. The tyrant will gladly oblige. One must remember though that man can never make laws that will change people’s hearts. Demands for social justice, income equality, protection of the environment and the like are all calls for action. Speech becomes categorized including so called hate speech, muzzling free speech and silencing open discussion. Those concepts have been introduced in the government schools for several generations and as a result, Bernie Sanders has gained wide support among college age voters. So what does this have to do with Agenda 21 or Agenda 2030? Not understanding our heritage, our Declaration of Independence and with our Constitution being looked at as outdated and a “living document” opens us up to replacing it with a broader, more inclusive document that fits in with world government. Agenda 21 was made public in 1992 by the United Nations at the UN Conference on Environment and Development held in Rio De Janeiro and signed by 178 countries, including the United States. Although the Federal government cannot grant itself new anti-constitutional powers merely by approving a treaty, it does not mean that any current or future President would not push it forward or use our laws for implementation. 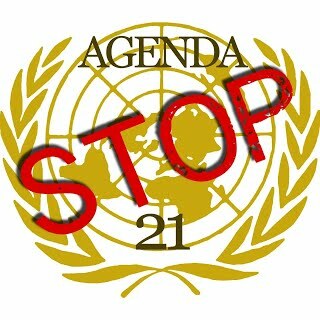 Since 1992, Agenda 21 has been transformed into laws that use environmentalism as a platform, couched in language that hides its true meaning. In September 2015, the road map for implementation of Agenda 21 was introduced as Agenda 2030. The preamble of the document states “It is an agenda of the people, by the people and for the people.” (Section 52) Sounds so free doesn’t it? Along with climate change, the 17 goals include Ending Poverty; Ending Hunger; Ensuring Healthy Lives; Efficient Use of Energy; Safe Cities and Human Settlements; Changing Consumption Patterns; Gender Equality; and Strengthening the Means of Implementation of Agenda 2030. Most goals include the wording of being sustainable. Along with these 17 goals there are 169 Targets that gives the United Nations the opportunity to micromanage the lives of every man, woman and child on the planet. How does this reach us in the local towns, villages, cities, and what can we do about it? Comprehensive Land Use Plans is a tool that uses a template from Agenda 21 that includes Sustainability Goals, identifies Wet Land Preservation Areas, Use of Zoning to make changes to land use, and a continued 10 years updated timeline to include changes from the UN. This is a long term plan and they are making great strides. The Town of Mishicot recently updated the Comprehensive Land Use Plan as required every 10 years. We included a statement that the Town of Mishicot reserves the right to accept or reject terminology or language given from the State or Federal Government in sample formats and reserves the right to manage town lands as described in our land use plan. By 2030, ensure that all men and women, in particular the poor and vulnerable, have equal rights to economic resources as well as access to basic services, ownership and control over land. Examples: Increased dependency on Food Stamps (Food Share), Housing Subsidies, Creation of a Living Wage structure and guaranteed government income, making them obedient slaves to government. By 2030, ensure universal access to sexual and reproductive health care services, including family planning, information and education, and integration of reproductive health into the national strategies and programs. Note that hospitals and clinics implemented many of these since the implementation of Obama Care in 2010, including Well Being Checks, Mandatory Vaccines for all children and adults, mandatory vaccines for continued employment, and increased medication for children. By 2030, ensure that all learners acquire the knowledge and skills needed to promote sustainable development, including among others, through education for sustainable development and sustainable lifestyles, human rights, gender equality, promotion of a culture of peace and non-violence, global citizenship and appreciation for cultural diversity. Note: Push a false U.S. History, Creation of Common Core, Cleanse History lessons such as Christopher Columbus, Civil War and not teaching the Constitution or Bill of Rights. By 2030, progressively achieve and sustain income growth of the bottom 40% of the population at a rate higher than the national average. Goal #14: Conserve and Sustainably Use the Oceans, Seas and Marine Resources for Sustainable Development. By 2020, conserve at least 10 percent of coastal and marine areas, consistent with national and international law, and based on the best available scientific information. Examples: Ban most ocean fishing and place it under government control. Also create Marine Sanctuaries. -Kenosha to Manitowoc County, then expanded to Door County for a total of 1,260 square miles. – Restrictions on personal property rights for owners of lakefront property, using the ‘high water mark’ as the property line. – Future restrictions could be imposed on commercial and sports fishing. – The Sanctuary is permanent, not reversible. – The cost of the Sanctuary was estimated at between $220,000 and $1 million dollars annually. 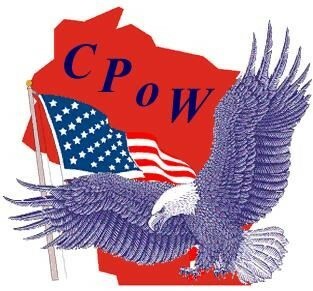 Information on this proposed Sanctuary was shared at the Wisconsin Towns Association Manitowoc County unit along with a proposed Resolution opposing such a Sanctuary. Although we are not a lakefront town, the Town of Mishicot passed the resolution and sent it on to the Governor, who had been in favor of the Sanctuary. Efforts from a group called Citizens for Responsible Zoning and Landowners Rights based out of Hudson, Wisconsin also contacted the Governor, and billboards were placed along lakeshore communities opposing the Marine Sanctuary. In the spring of 2018, Governor Walker pulled his support for the Marine Sanctuary. These are only 6 of the 17 Goals in Agenda 2030. The UN is planning nothing less than global tyranny that enslaves all humanity into the scheme of sustainable development and equality. They call this progress – Progressive Socialism may be more appropriate – with transforming being the continued effort for change. We need to be vigilant. Enactment of Agenda 2030 can be accomplished as a result of elections at the Local and State levels. Words matter, elections matter, our voices can make a difference. Attend you local town, city or county board meetings along with school board meetings. Be polite and ask questions, and offer alternatives! The tyrant can only move in when the people move over! For a copy of the entire Agenda 2030 document Google United Nations Agenda 2030. Information for this article was obtained from articles written by Mike Adams, Agenda 21 and Agenda 2030 documents, and The New American magazine. A few years ago, they called Agenda 21 and 2030 a conspiracy theory. Now it is plagiarized and presented by the socialist as a bill in the House.